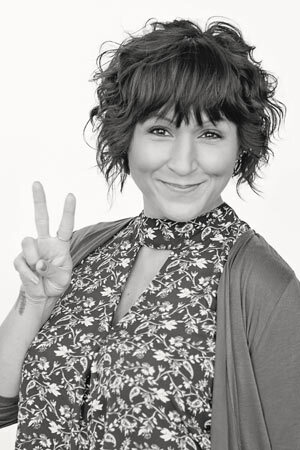 Jolene is a diverse performance artist who works as a director, choreographer, vocalist, actor, producer, and educator. Here at GRCT, she won a Grand Award for her performance as Tracy Turnblad in Hairspray, choreographed Seussicaland Blue’s Clues the Musical, and is looking forward to directing James and the GiantPeachthis spring! Her award-winning work has been featured locally with Circle Theatre, Actors’ Theatre, Creative Edge Productions, Mixed Roots Collective, Ebony Road Players, LaughFest, and ArtPrize; regionally with Pittsburgh Civic Light Opera and the Pittsburgh Playhouse; and in New York with Gateway Playhouse, CRW Productions, and NBC Studios. As an Associate Casting Director with Wojcik/Seay Casting in NYC, she cast productions for Lake Tahoe Shakespeare Festival (NV), Riverside Theatre (FL), and Gallery Players (NYC); while casting films, commercials, and print work with Fahey Dreher Casting here in GR. Jolene loves working with the young artists here at GRCT School of Theatre Arts not just to develop students’ talents and crafts, but also to foster an appreciation and understanding of the arts and humanity. I am inspired by music, nature, and the creativity of my fellow artists, including the wild imaginations of our students here at GRCT School of Theatre Arts.